After over a year of soul searching, Microsoft has a new CEO in the form of Satya Nadella. From the internal cloud computing division, he relieves Steve Ballmer. As with most groundbreaking infocomm stories like this, the story isn't nearly as interesting as the way it's being reported. Sometimes I feel as though we've all stepped through some sort of magical transporter, where opinions made and certainties cemented evaporate as quickly as the steam from this lovely cup of hot water. I don't mean to rain on the parade of the technology press, but whatever happened to Stephen Elop? Last year, all we could read was that Microsoft was buying Nokia in some sort of Apple-NeXT deal. With a former Microsoftian coming back into the fold, we read it would be just like Steve Jobs returning to the company with the aim of turning it around. He was hailed as Microsoft's savior, bathed in bold Lumia colours. It didn't make a whole lot of sense to me at the time, given Nokia's performance with their technically interesting but poorly received (at least in the market) smartphones. Still, this line of reasoning echoed throughout technology news outlets and blogs. Even my fellow Apple and *nix bloggers with whom I generally agree had resigned themselves to this being fact, with most questioning just how long Steve Ballmer would keep the seat warm for him. Some sites such as VG247 are saying sources close to Mr Elop were responsible for starting the rumours. While we've seen no proof of this, it wouldn't be the first time the press took a snippet like that and ran with it as fact. This should teach a lot of us, myself included, that nothing is certain until it happens. It's also not a sign of weakness to admit when you get something wrong; and only referencing Stephen Elop in the context of "being snubbed" doesn't really cut it. As for Satya Nadella, I wouldn't begin to pontificate the challenges he faces, though from what I've seen so far he seems like a fascinating person. While the rest of the company floundered in UAC dialogs, coloured tiles and squirting Zunes, its undeniable Azure has been a huge success. About the only thing that concerns me, as an Australian/Singaporean English speaker, is how I'm supposed to pronounce Azure. It's ah-syou-are, right? 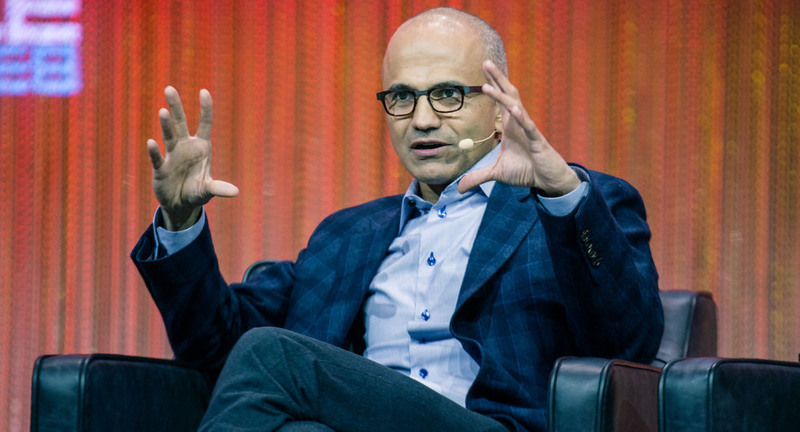 Photo of Satya Nadella by LeWeb.